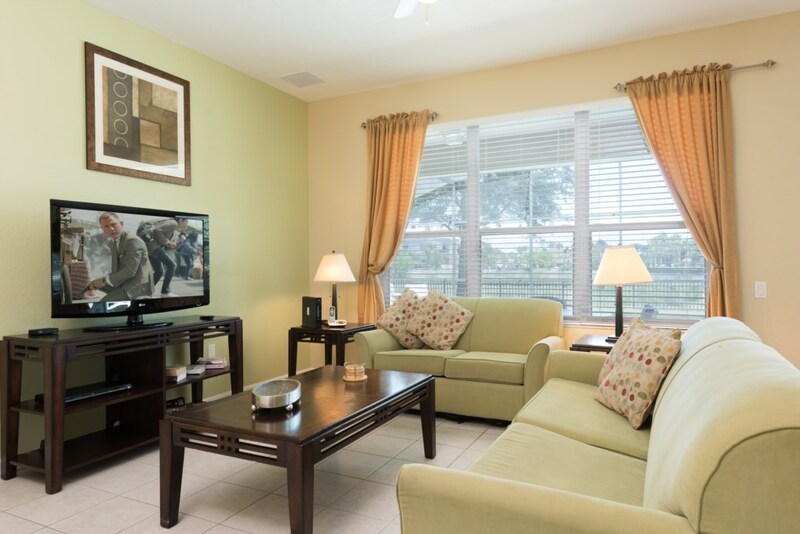 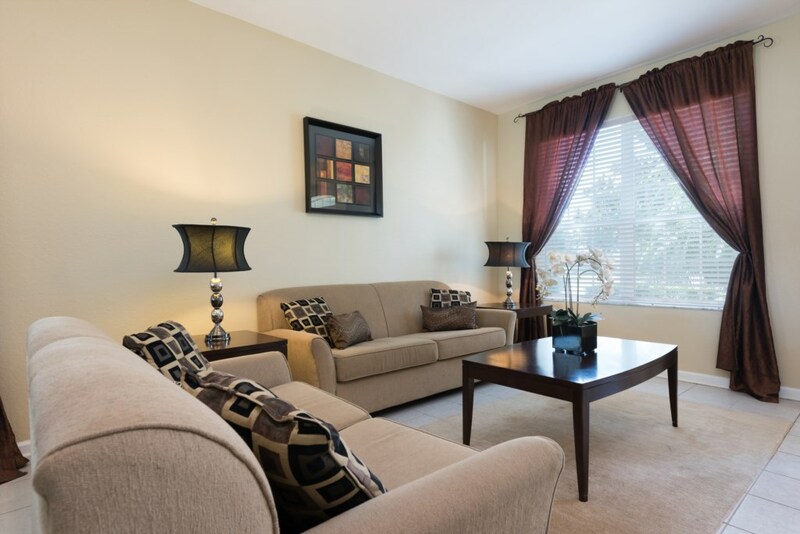 This is not only a rental property, our home is furnished and decorated to the highest standard and offers you the amenities of a 5-star resort combined with the space and style of a family home. 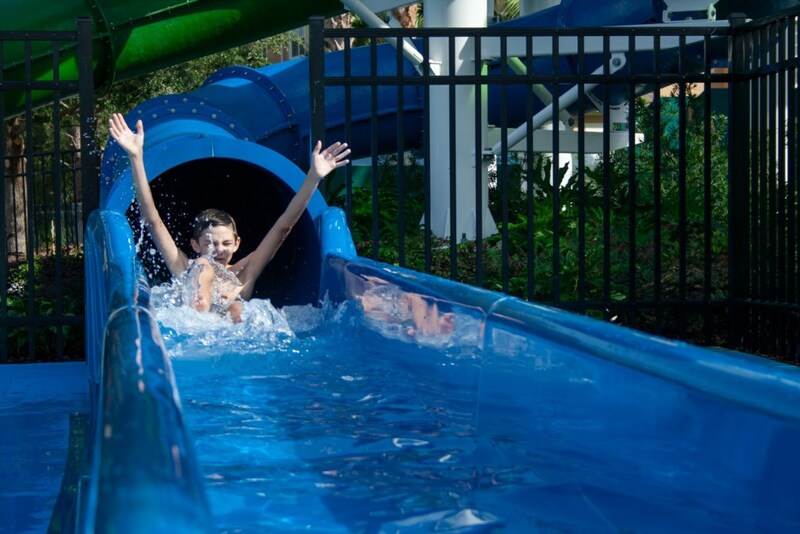 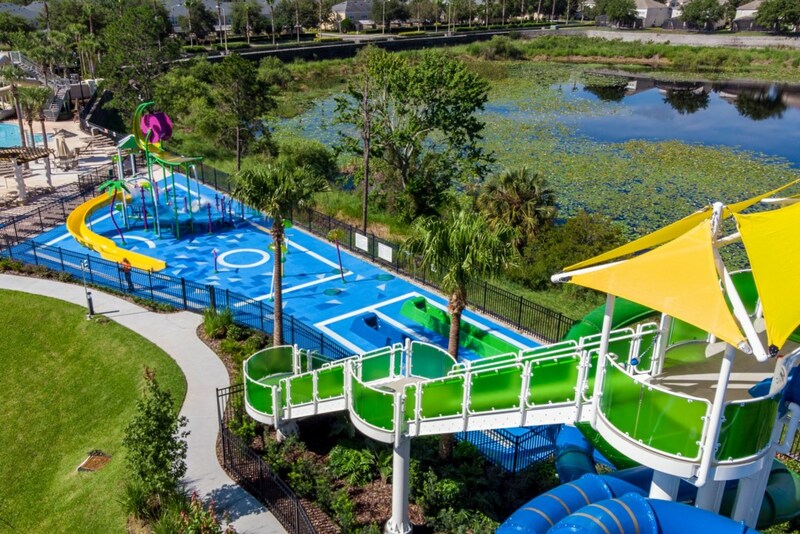 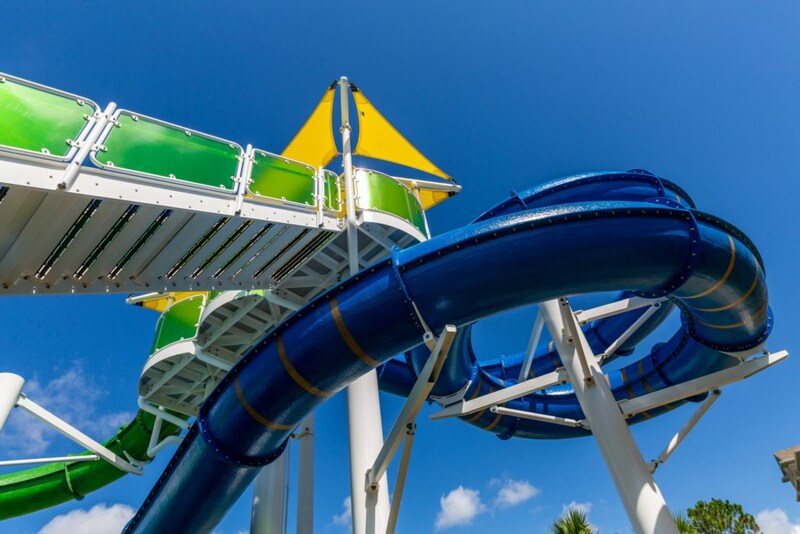 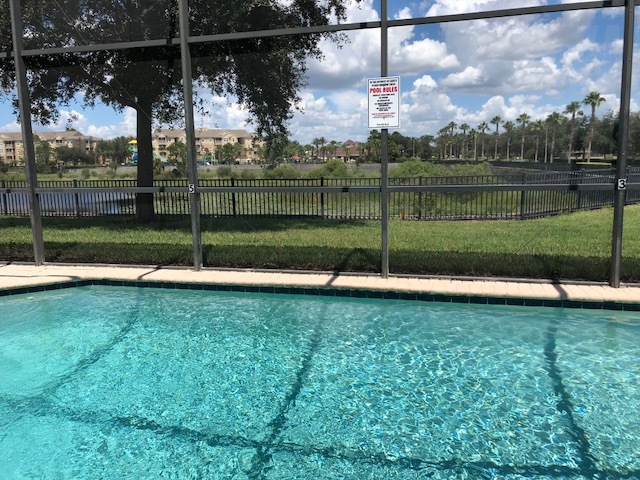 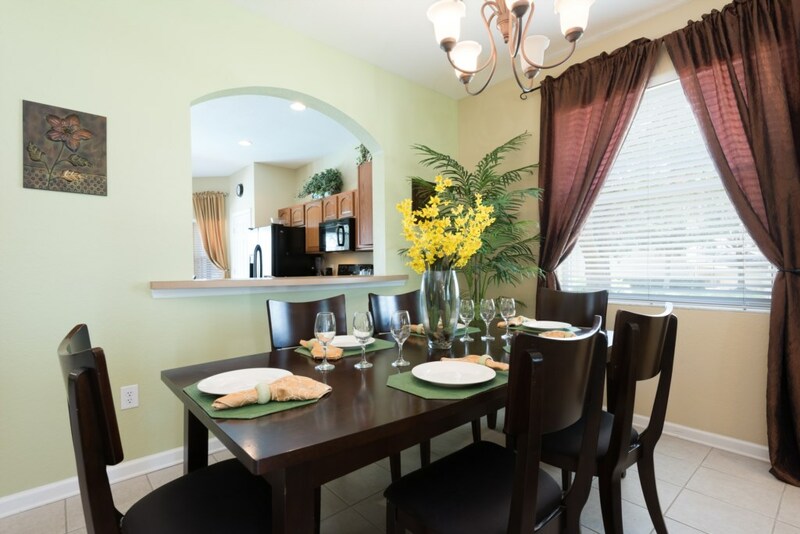 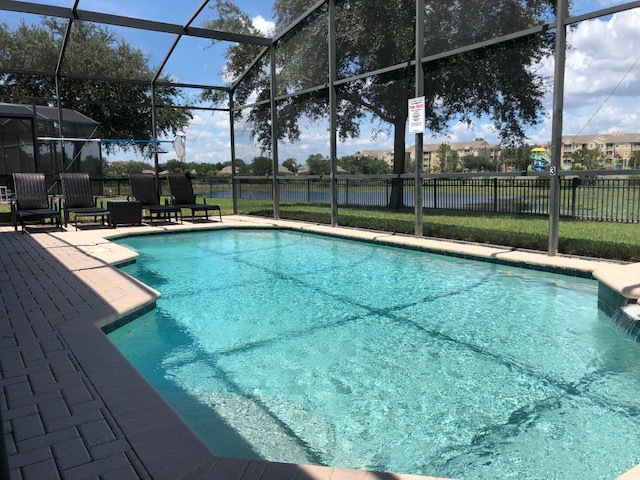 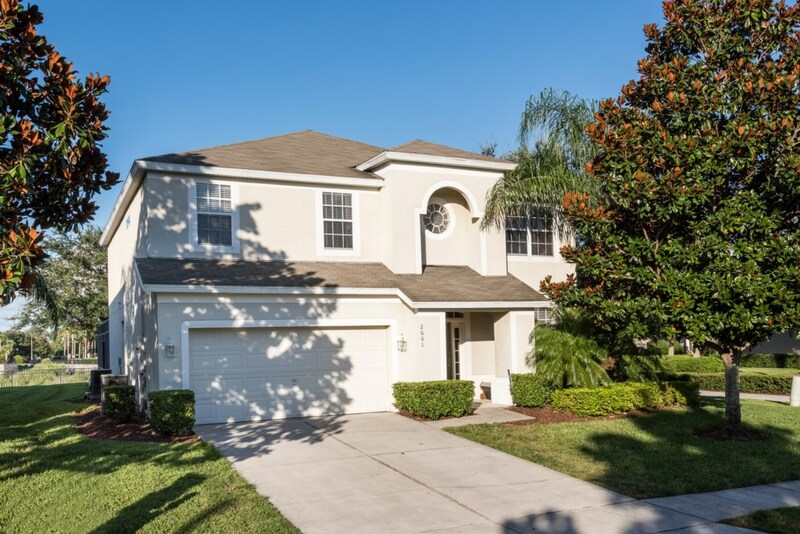 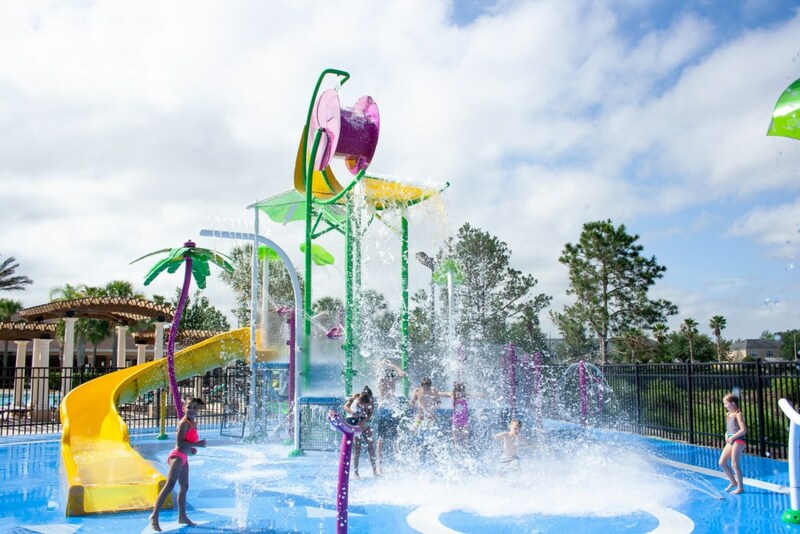 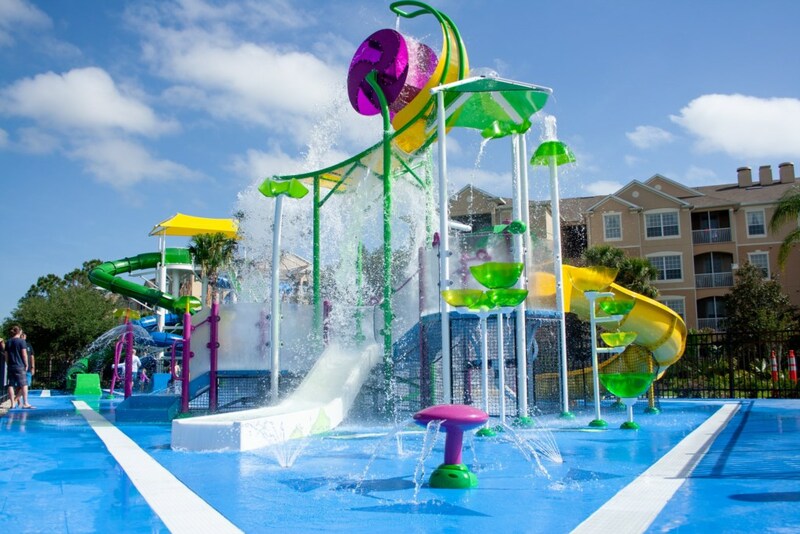 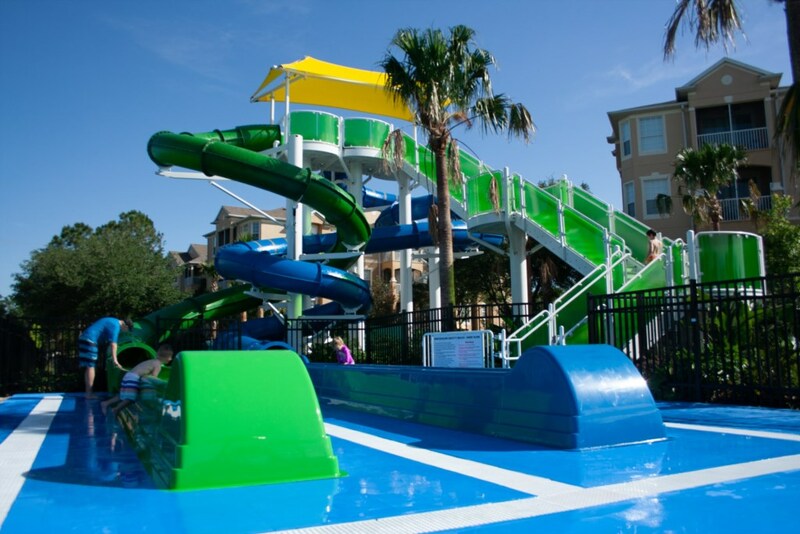 Whether you are planning a busy, fun filled family vacation at the many theme parks, or looking forward to a relaxing break around the pool, located in Orlando Florida's most prestigious, gated vacation resort, offer you the best of both worlds. 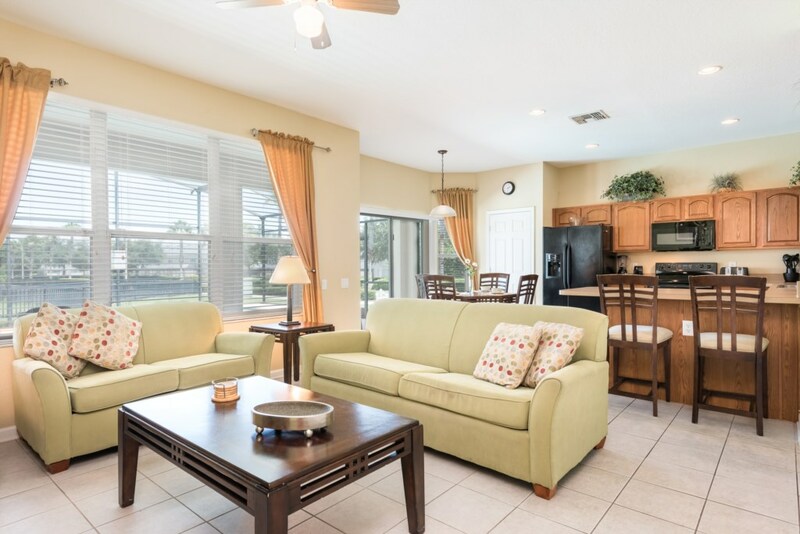 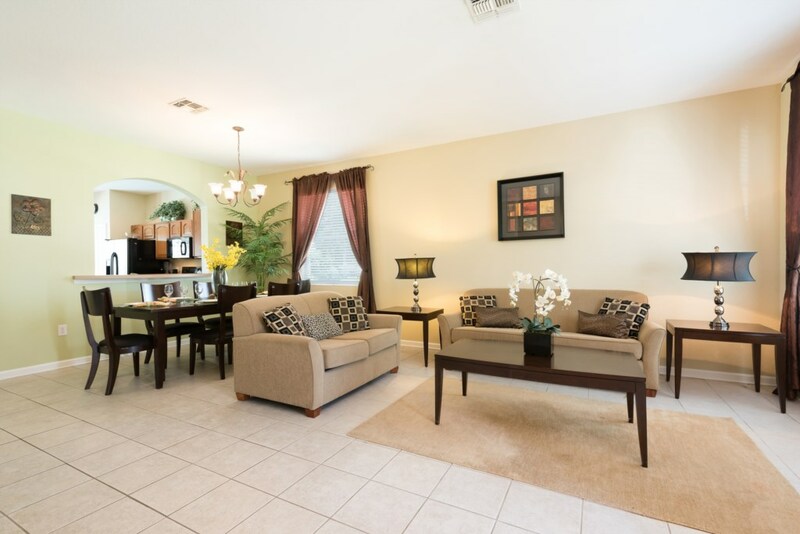 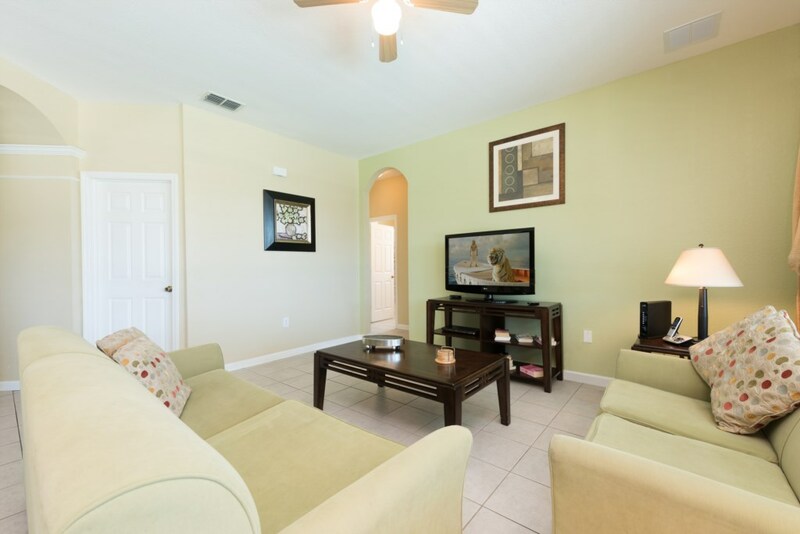 This villas features a professionally decorated, spacious family room with multi-channel TV, DVD player, Wi-Fi high speed internet that overlook the pool and patio area. 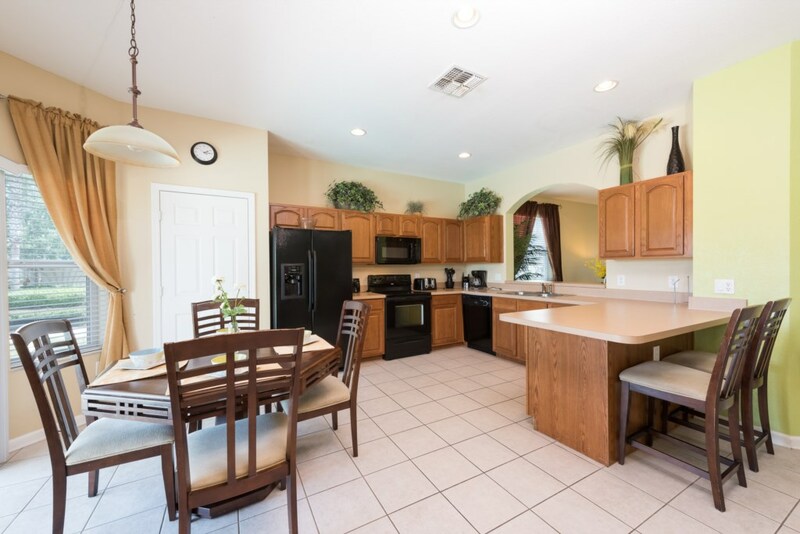 The upgraded kitchen has all the appliances and comforts of home including granite worktops, the dining room has plenty of room to enjoy meals together and there is plenty of seating poolside for dining along with loungers for catching some sun. 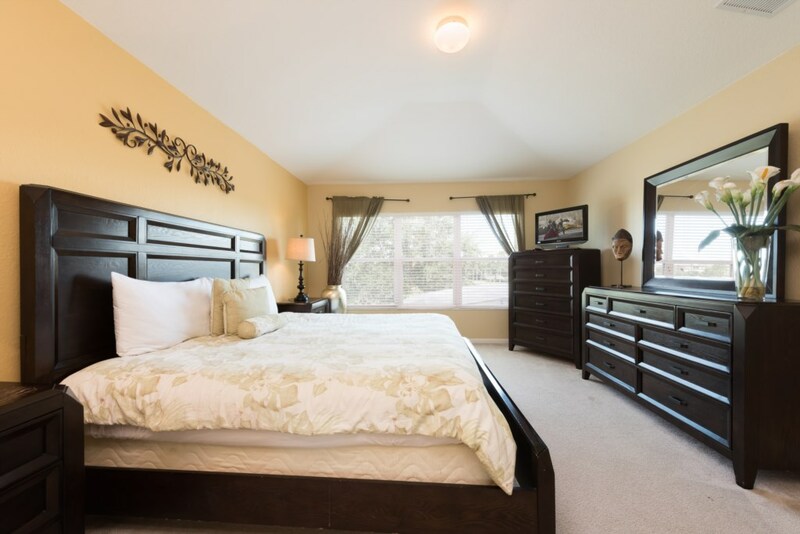 The bedrooms of this property continue the high end fixtures and furnishings. 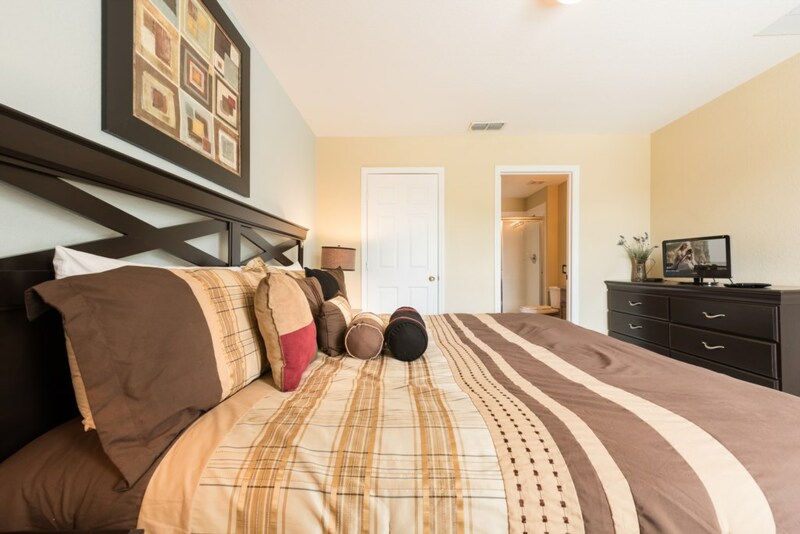 The first master bedroom feautres a large king bed with walk in wardrobe and large en-suite including corner tub and large walk-in shower. 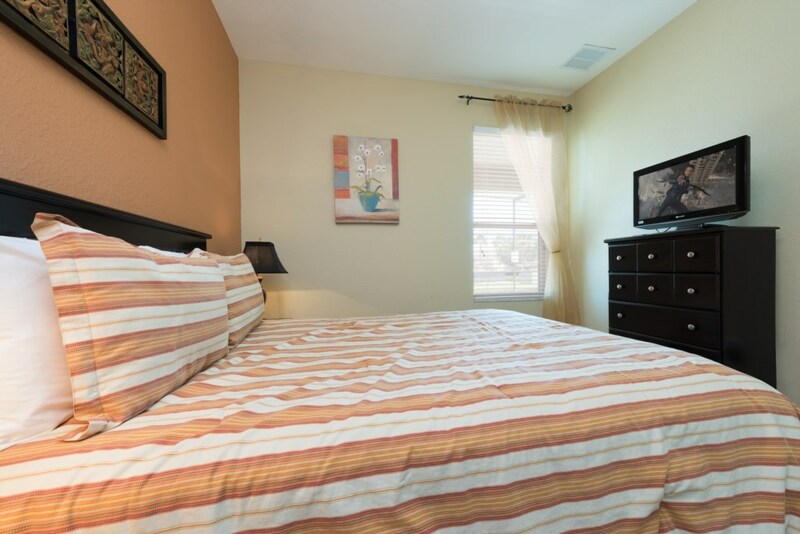 Master bedrooms two and three feature one king and one queen bed and each have walk in wardrobes and en-suite bathrooms. 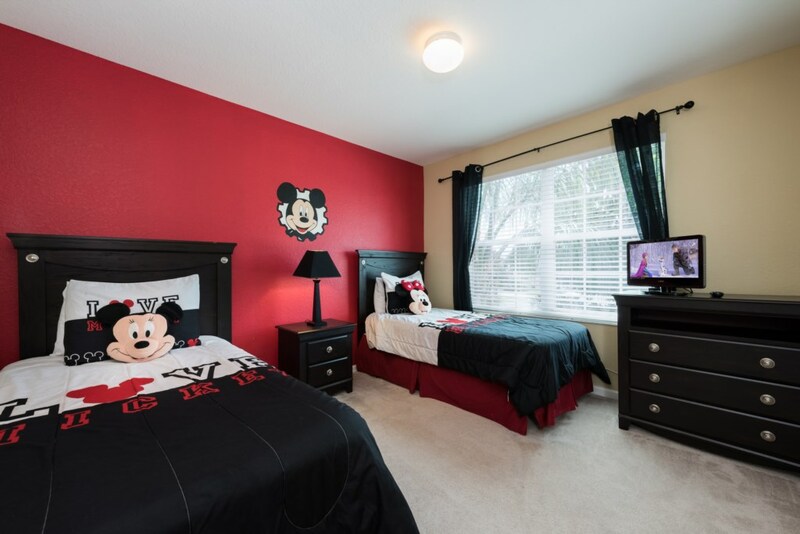 The final three bedrooms feature one queen bed and two twin singles beds in the other rooms, one with fun princess decor and the other with Mickey mouse furnishings so the children will undoubtedly have a memeorable experience. 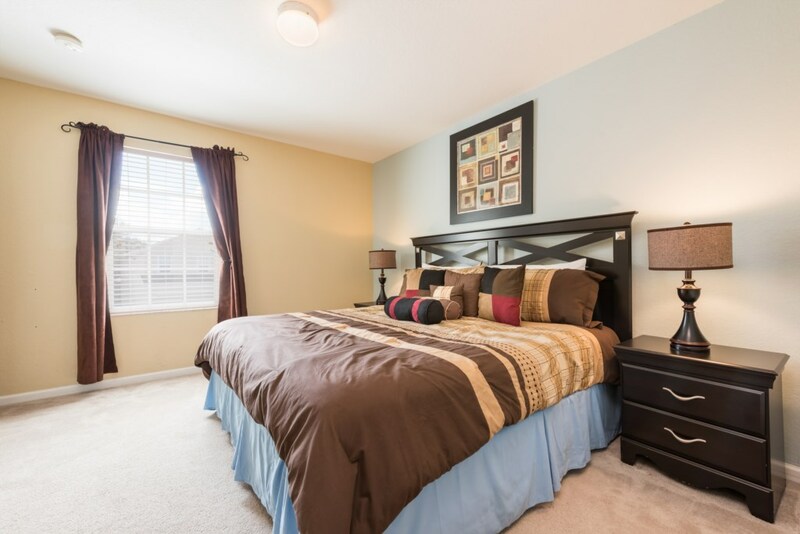 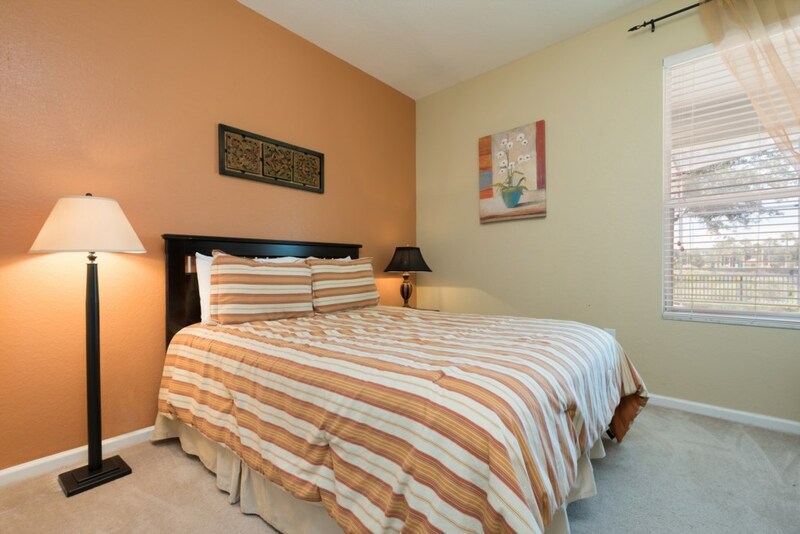 All bedrooms have high end linens and towels to keep you comfortable during your stay. 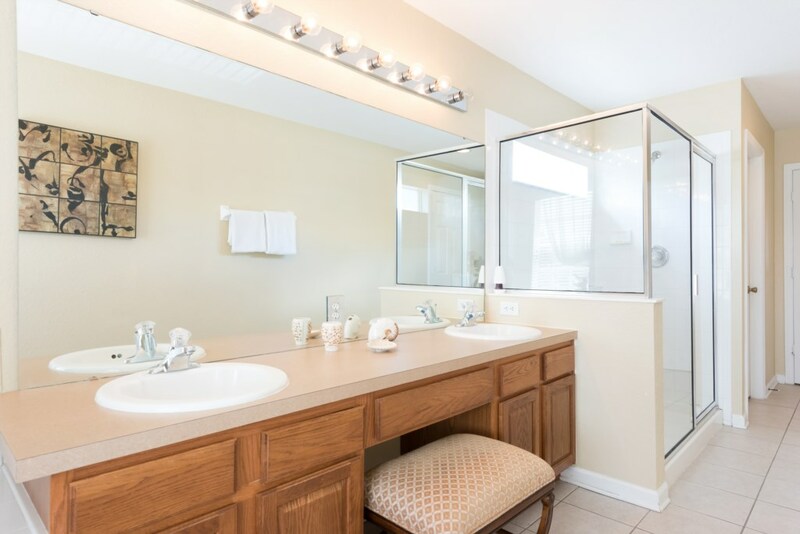 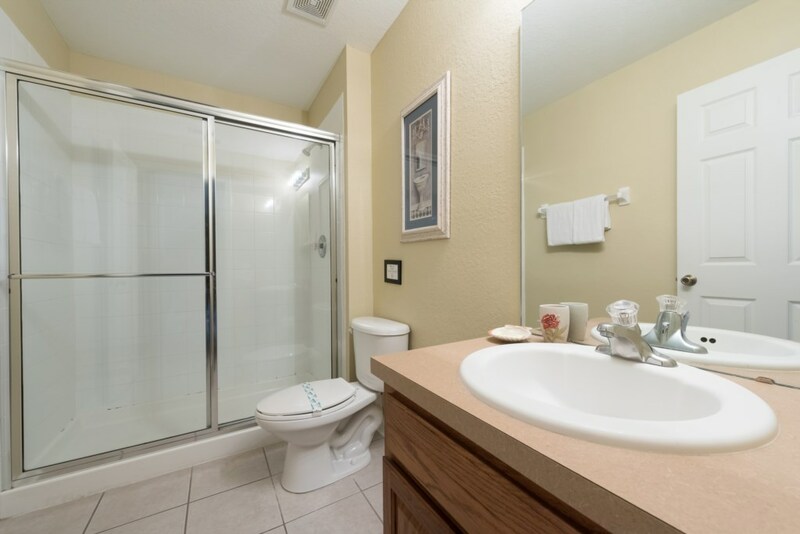 The newly remodelled bathrooms are fitted to the highest standards with modern fixtures and vanities. 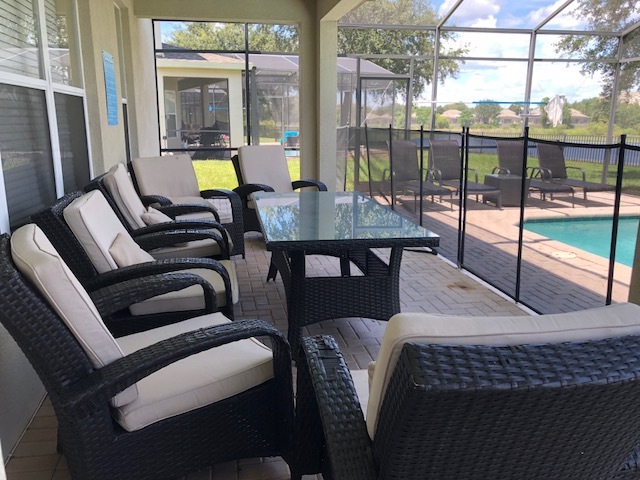 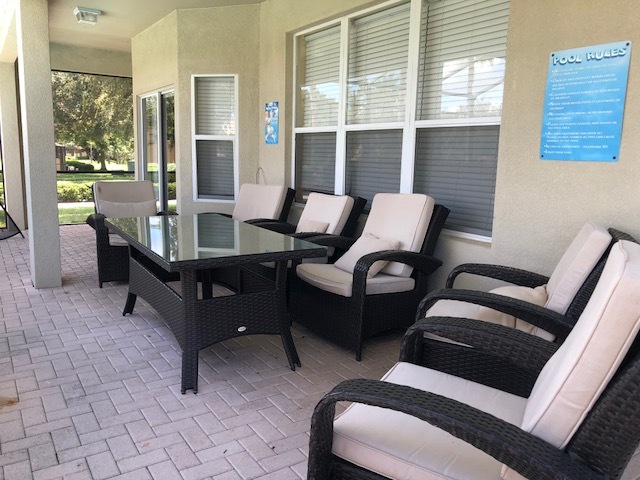 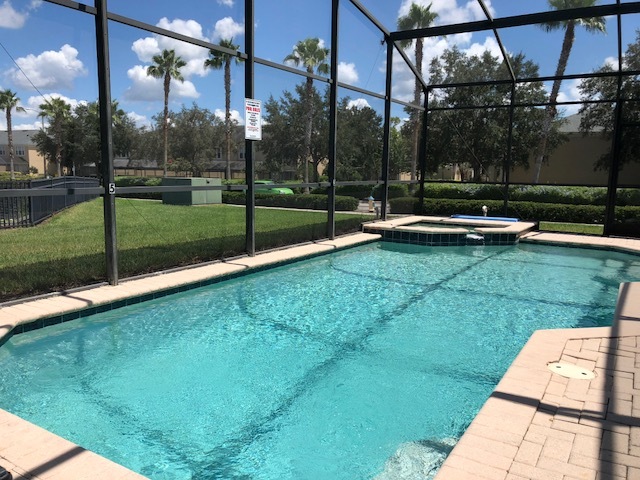 Our private pool benefits from maximum exposure to the Florida sun although the covered lanai offers shade if you prefer. 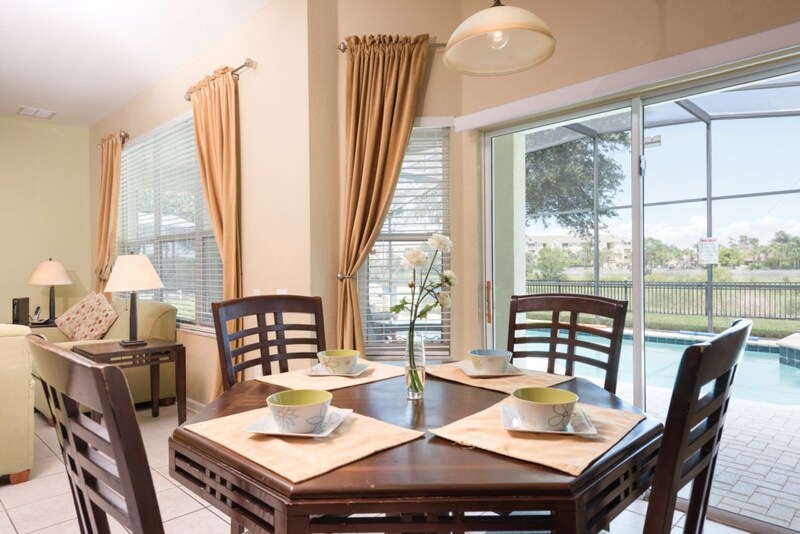 With lots of outdoor dining furniture, the pool area is the perfect place for casual entertaining and alfresco dining. 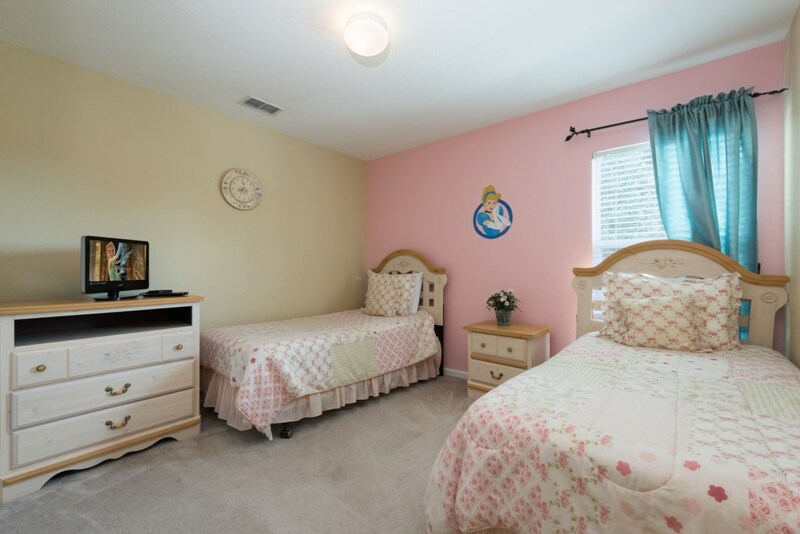 This property also features games room Includes pool table and air hockey to enjoy some friendly competition to unwind. 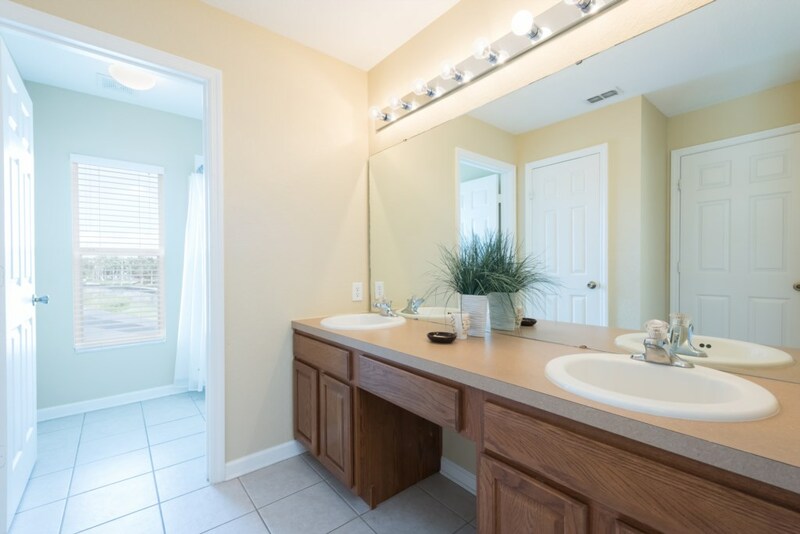 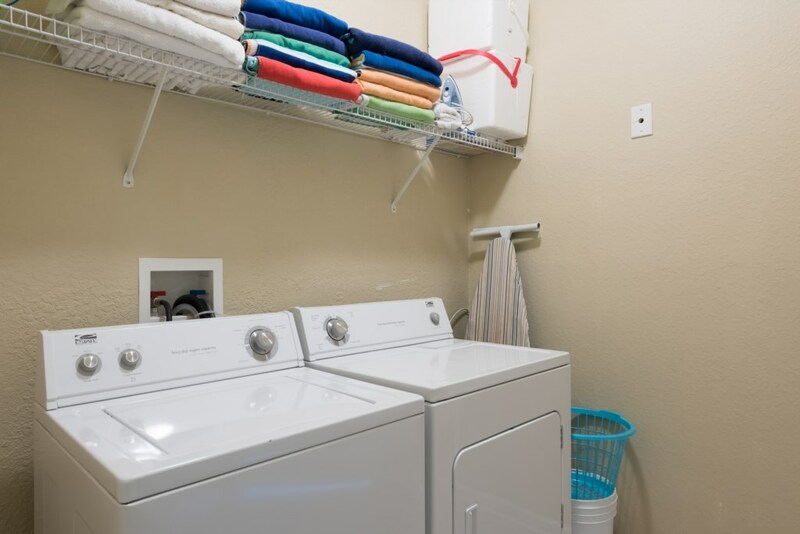 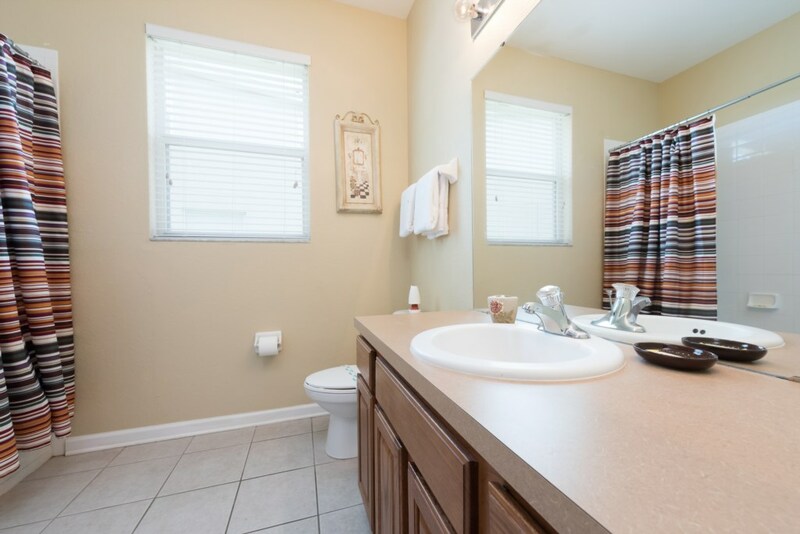 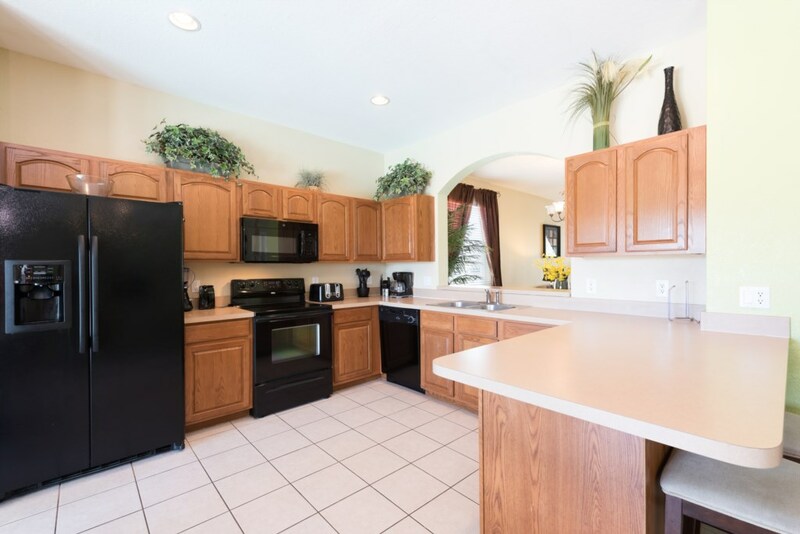 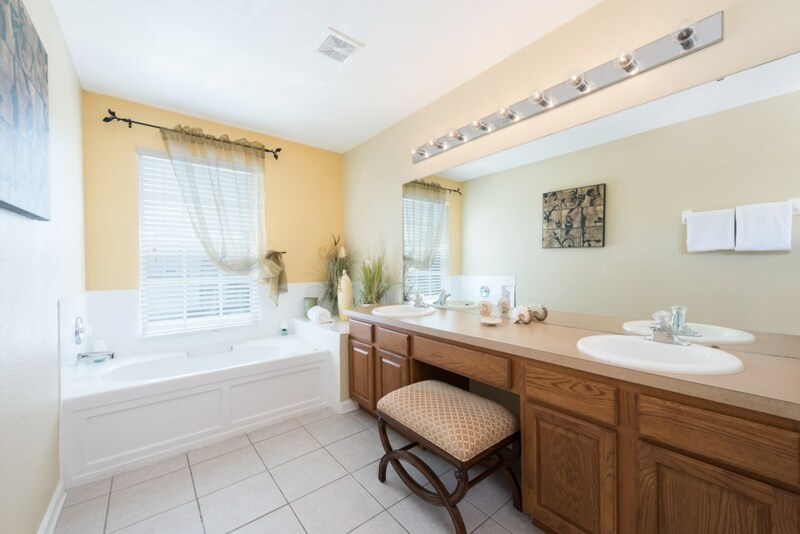 This well equipped property has a full washer and dryer in the suite and high speed wifi throughout.